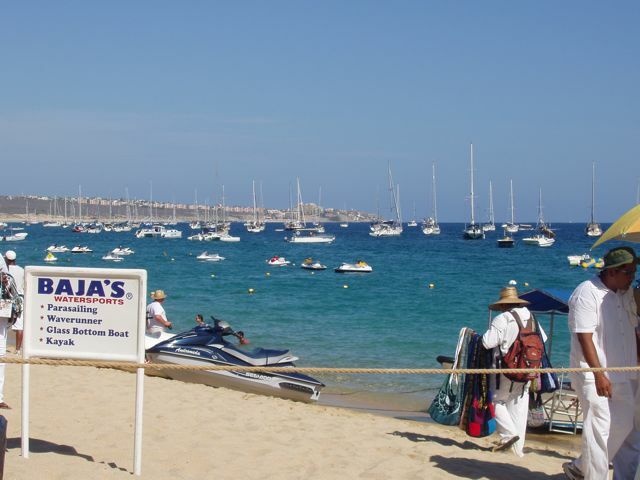 Cabo San Lucas, the southern Mexican town that exists on the southern tip of Baja California, has been a regular part of our lives for over ten years. We've owned time shares here for years and know the town and the people. It's much like being at home. 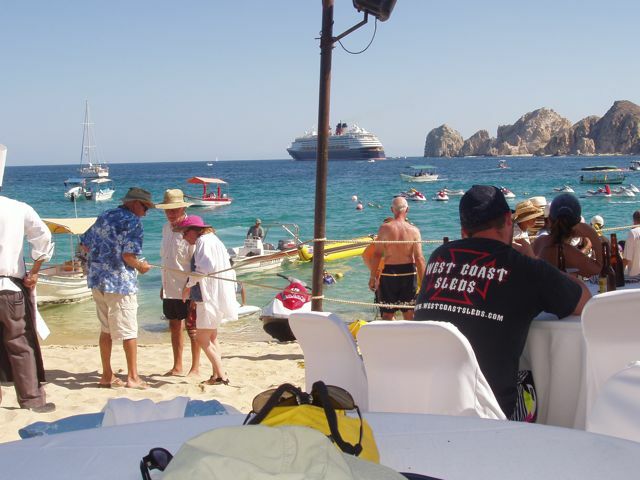 We had planned and dreamed of sailing Wings into Cabo for a long time, and the reality was almost unbearable. The 2011 Baja-Haha is over. 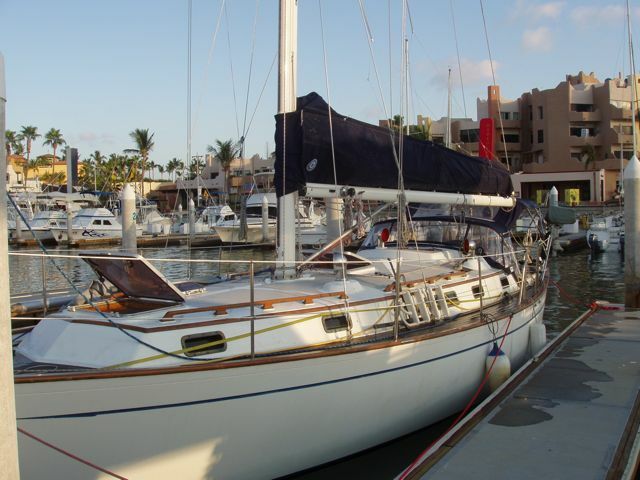 The last leg of the Haha was a single overnight from Bahia Santa Maria to Cabo. With light winds, with some notable exceptions, we completed the trip on time. Pedrigal Hill, home of the stars. 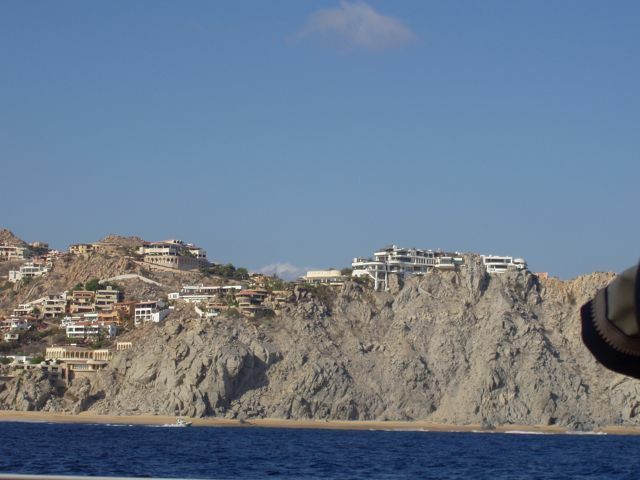 Seen from the sea, these homes belong to the celebrities of our time. Playa Grande, our home resort. We spend almost three weeks a year here. We've dreamed of this particular view for many years. 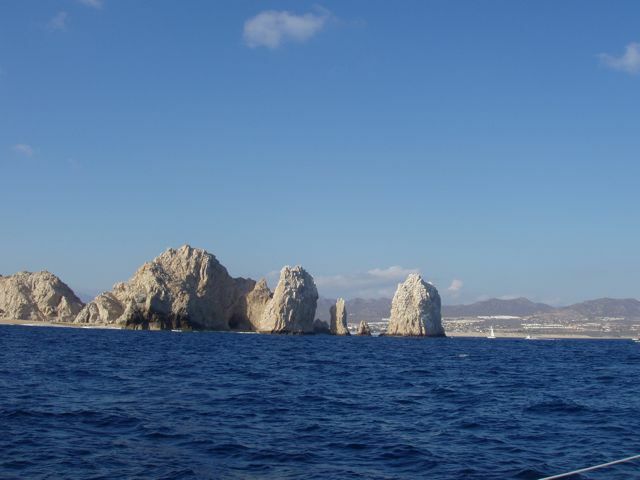 "The Bishops", as the rocks offshore of the harbor are known, are an unmistakable landmark. 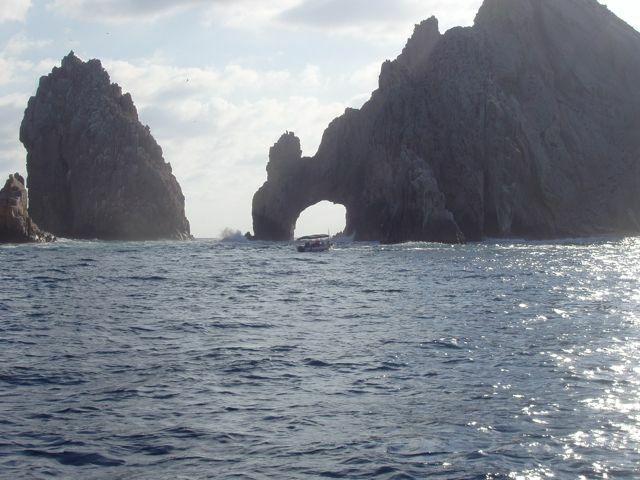 Los Arcos, the arch in the rocks, is a tourist destination. The glass-bottomed water taxi in front of the arch is a typical tourist ride. Wings, safe at last. She's protected us and carried us for a long distance. Thanks. Note that every hatch and port are open. It's HOT! 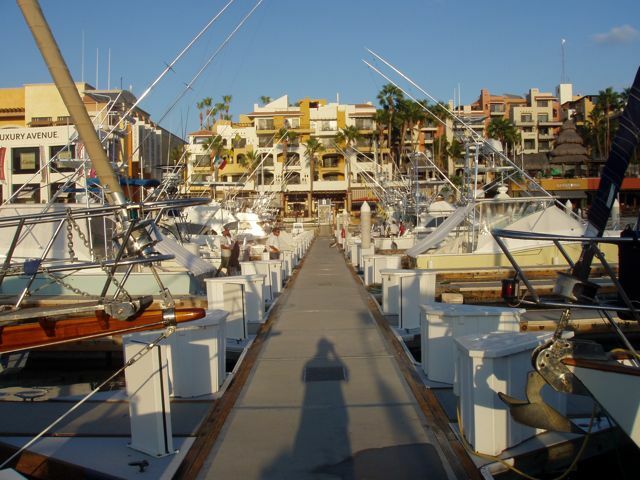 Muelle B (B Dock) is our home for a few days. 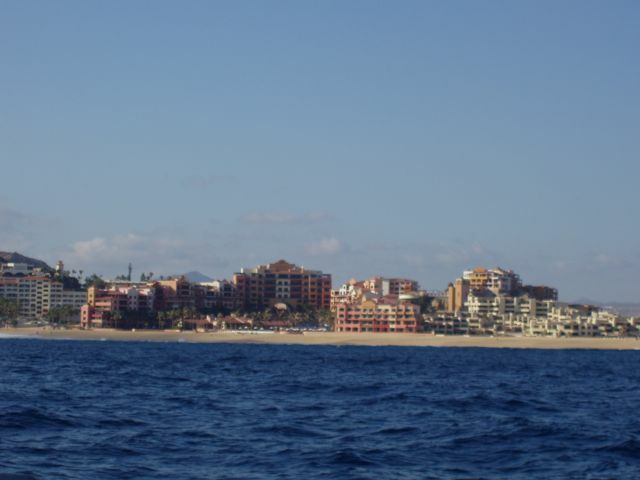 The Medano, or public beach, was home for the finishing fiesta and the location of the fleet that did not wish to pay for a slip. With almost 150 boats and only 30 receiving slips in the harbor, most boats were at anchor here. A Disney cruise ship leaves the harbor. These large ships cannot enter the marina, of course, and anchor offshore, ferrying passengers in "lighters" to shore. The "banana", a float dragged behind a powerboat and on which people sit, is in the water. Please e-mail our webmaster with any site questions.